We are, once again, on a level 2 storm warning. ARPAL (which stands for “Agenzia Regionale per la Protezione dell’Ambiente Ligure“) currently has two levels of alert: level 1 (think of it as a yellow “proceed with caution” light) and level 2 (the highest level of alert, a so-called red light where everything comes to a grinding halt). We’ve had multiple back-to-back alerts in just this past month. 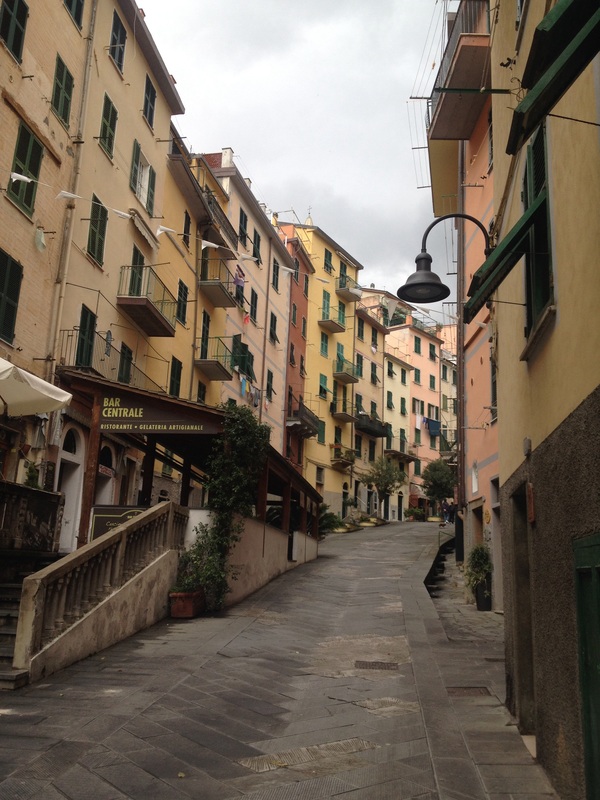 Trails throughout the Cinque Terre are currently closed. All local schools have been cancelled. Our day-to-day lives are obviously interrupted. This is starting to feel like a throwback to Aesop’s Fable, “The Boy That Cried Wolf.” Yes, we are in an area that is extremely prone to hydrogeological hazards (we know this all too well, especially considering the disastrous 2011 flooding). But does that mean that every single time a storm comes through we need to go into a state of alert? From a psychological standpoint, it’s unnerving (to say the least). As we all know, there are always two sides to every coin. OF COURSE, we’d rather be safe than sorry. OF COURSE, we don’t want to put our loved ones (or anyone else, for that matter) at risk. I think the reasoning behind the abundance of alerts in the past few weeks stems from recent lawsuits involving mayors and public officials (in other cities in Italy that have suffered from flooding or other natural disasters). These public officials are being held responsible for deaths due to unheeded weather alerts. It’s yet to be seen whether they’ll actually be found guilty, but in the meantime I’d say it’s enough to have most mayors and public officials shaking in their boots. The easy way for local city governments to wash their hands of the responsibility is to declare a state of alert whenever ARPAL sounds the alarm. As soon as that happens, emergency measures go into effect (including closing the schools, trails, etc.). The obvious flip side to having so many alerts is that the local population becomes desensitized and indifferent to them, thus undermining the whole point of the alerts to begin with.